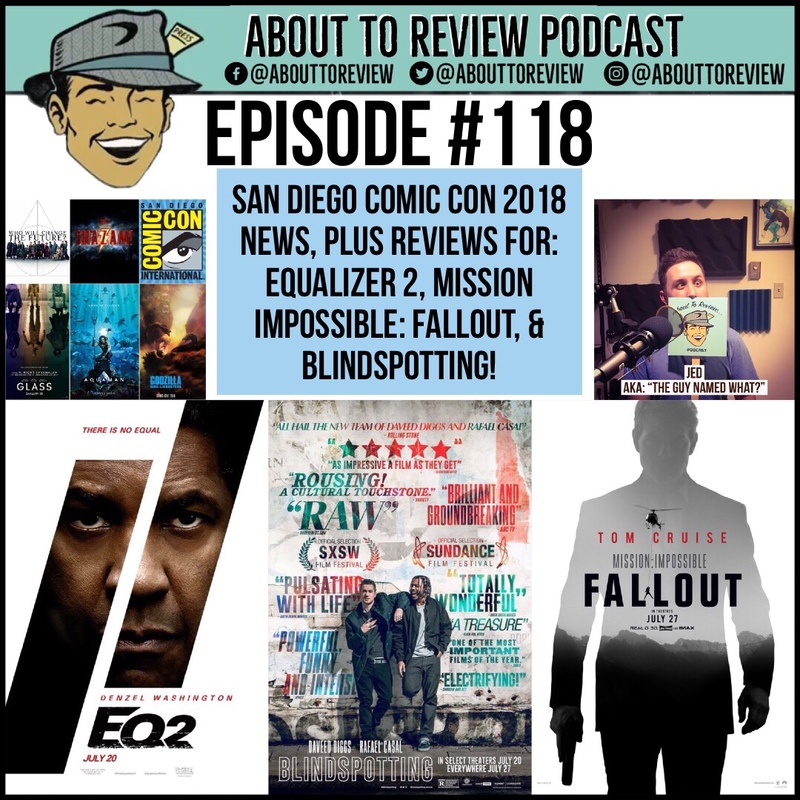 This week’s episode is filled to the gills (pun absolutely intended) with Jed and I reviewing 3 new movies, “Equalizer 2”, “Mission Impossible: Fallout” and “Blindspotting”! After that we cover a bunch of new trailers that dropped during the recent San Diego Comic Con! 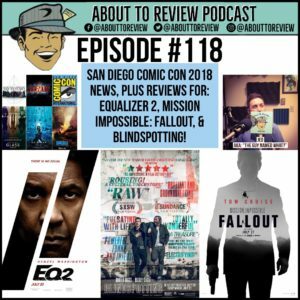 I flipped the script a little bit on this episode and started with the three movie reviews, then we dove head first into the massive amount of news coming out of San Diego Comic Con. The first film reviewed is “Equalizer 2” which is a drama thriller starring Denzel Washington and directed by frequent collaborator Antoine Fuqua. Following that is the sixth installment of the Mission Impossible franchise “Fallout”, which sees Tom Cruise (Ethan Hunt) running … a lot. Wrapping up the movie reviews is one of my favorite films from the 2018 Seattle International Film Festival (SIFF), “Blindspotting” which is a slice of life tale of best friends living in Oakland. Make sure to check out the YouTube channel for a new episode this week! I had the opportunity to interview Carlos Lopez Estrada, the director of “Blindspotting” while he was in town during SIFF, and that will dropping on Friday. Thank you to Jed for coming over to the studio super late on a Monday night to record this episode!